When arriving in Leighton Place, drive all the way to the end of the road, right to the top of the hill. 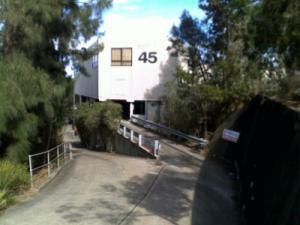 At the end of the cul de sac, you will see our building, Number 45. 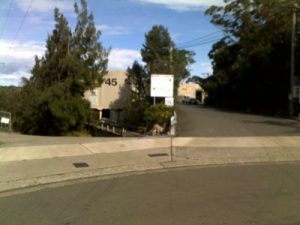 Head to the left hand side of the “15 (kph)” sign and down the hill. 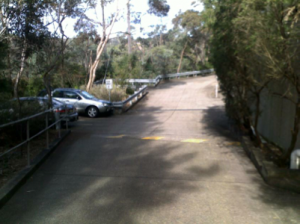 You can either choose to park in a car park across a “bridge” or you can park further down the hill. the first 4 parking spaces on your left further down the hill. Parking is usually available on the bottom level (the first four spaces). 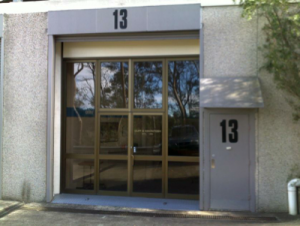 The first three are directly opposite our offices in unit 13. Our main warehouse is unit 12, next door.